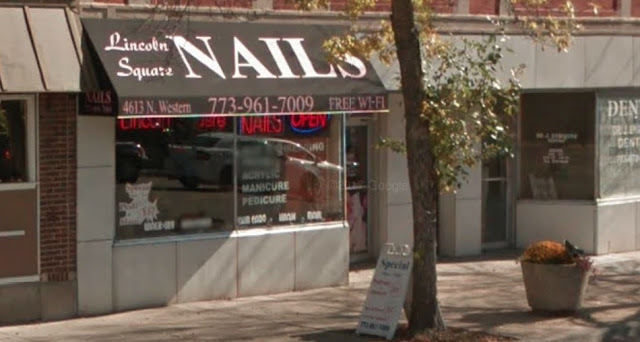 A nail salon client was slightly injured during a robbery attempt in Lincoln Square Monday evening, police said. No one is in custody. Officers responded to the 4600 block of N. Western at approximately 6:30 p.m. where it was reported that a man struck a woman and took her purse before running away, a police spokesman said. The woman was able to get her property back, but the man cut her with some type of object in the struggle, according to police. The offender is described as a 5’9”-tall black man who weighs 130-150 pounds and was wearing a black hoodie with tan pants. The pants had paint stains around the bottom. Police beat #1911, which runs from Lawrence to Irving and from the Chicago River to Damen is seeing a near-doubling in robberies this year, CWBChicago reported last week. That trend appears to be continuing. The Lincoln Square beat recorded 22 hold-ups for all of last year, with 18 reported through October 9. But this year is blowing those numbers away, with 31 robberies reported so far. 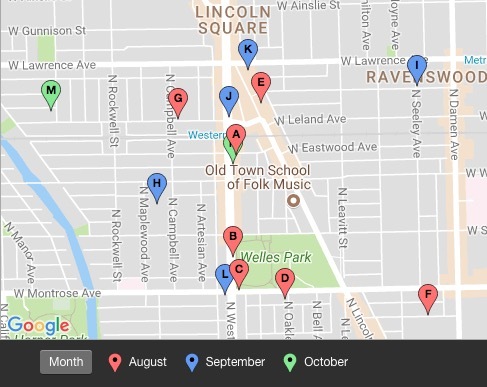 Since August 1, nearly all of the beat’s robberies have been occurring north of and on Montrose Avenue. CWBChicago received late word of an armed robbery behind the Cubby Bear in Wrigleyville on September 29. The victim walked to the nearby 19th District police station to report the hold-up. He told cops that two offenders approached him at 10:20 p.m. behind the iconic bar at 1059 West Addison. One of them pulled out a handgun and demanded his cash, phone, and identification. The man said the offenders were two men of unknown race who were dressed in all-black clothing. One stands about 5’11” tall, has a medium build, and black hair. The second man is slim, 6-feet tall, and has black hair. One was wearing a black hoodie and the other wore a black jacket, the victim said.